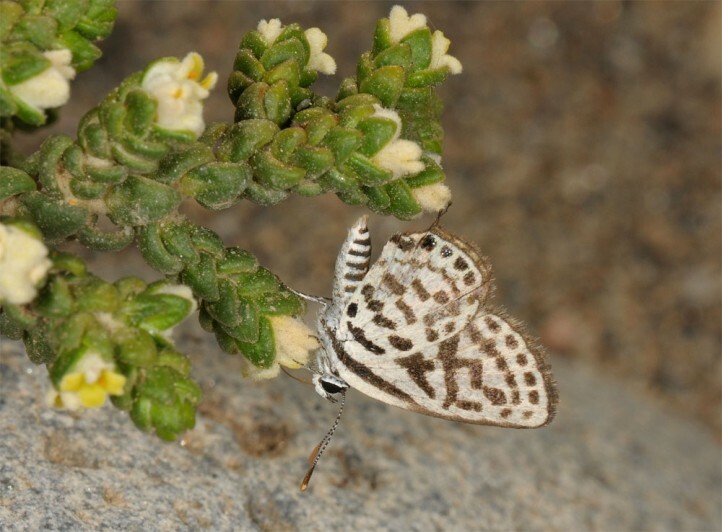 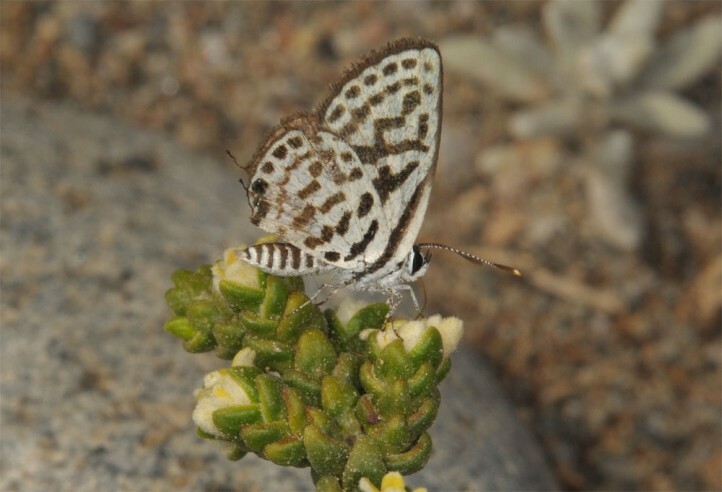 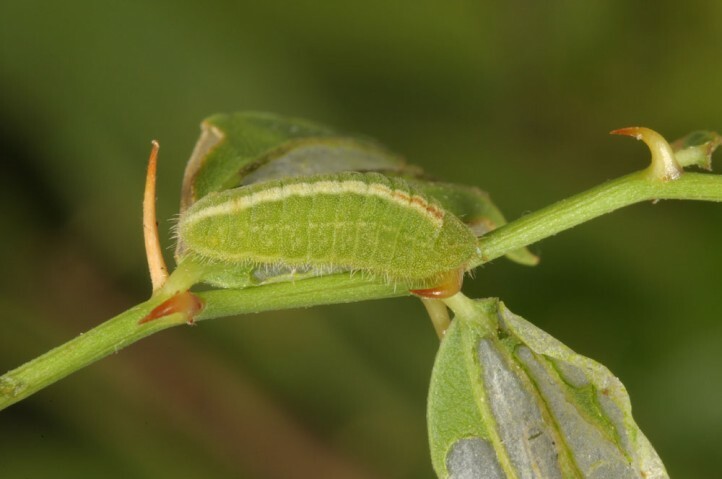 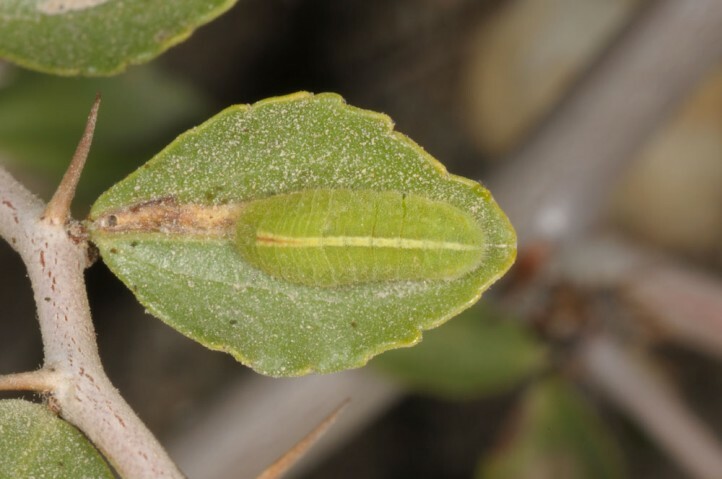 The larvae usually live on Zizyphus lotus (Rhamnaceae), so in Spain and Morocco, but in other parts of the distribution also on related plants such as Paliurus. 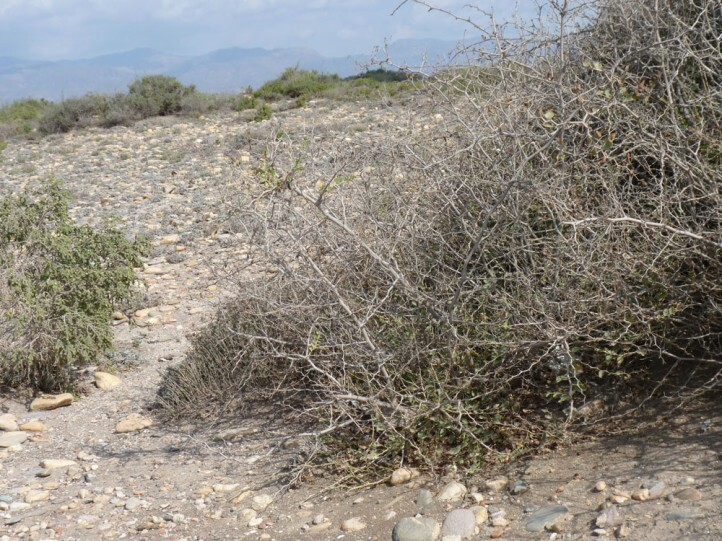 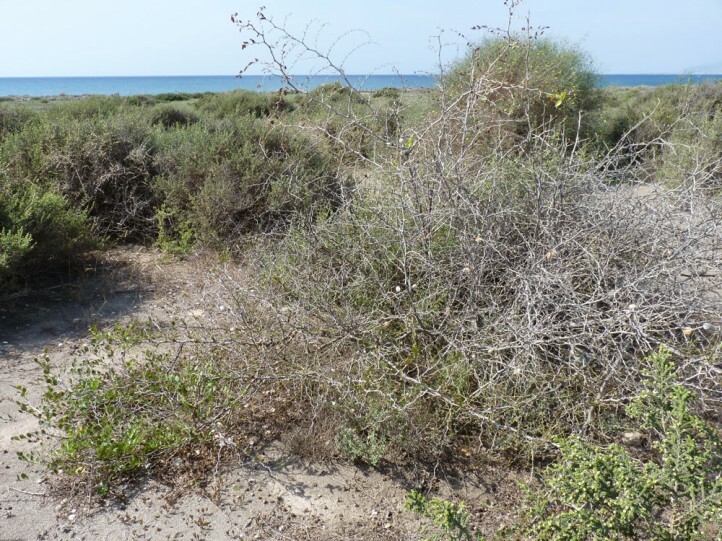 In Spain, Tarucus theophrastus inhabits sandy or stony, coastal places such as dunes. 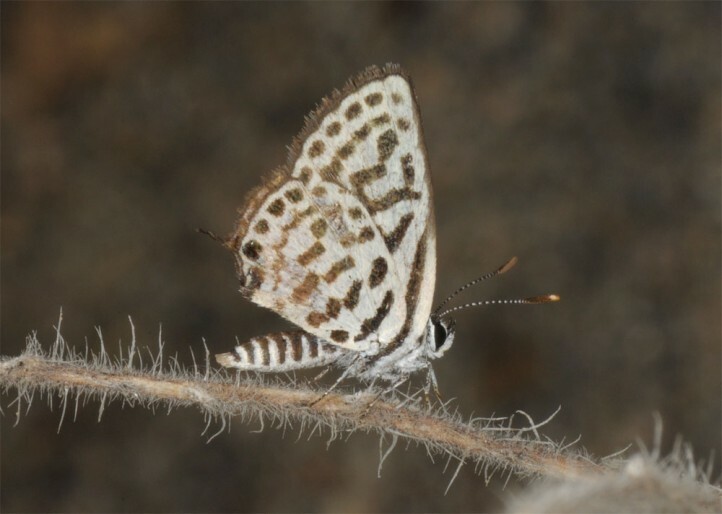 In Spain, the butterflies occur from April to winter. 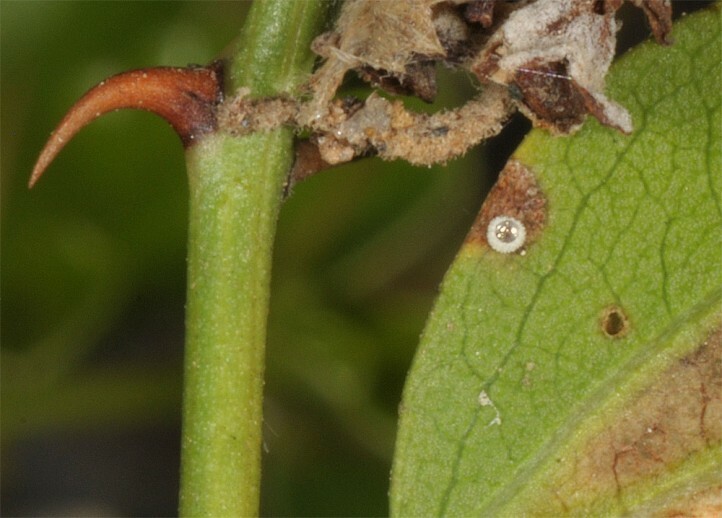 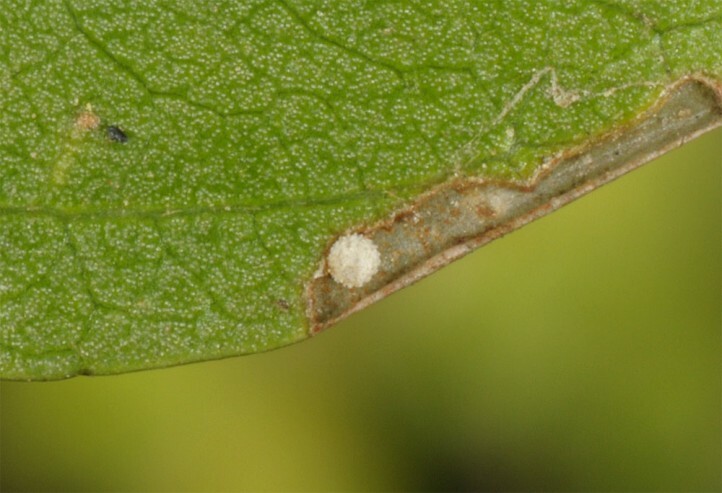 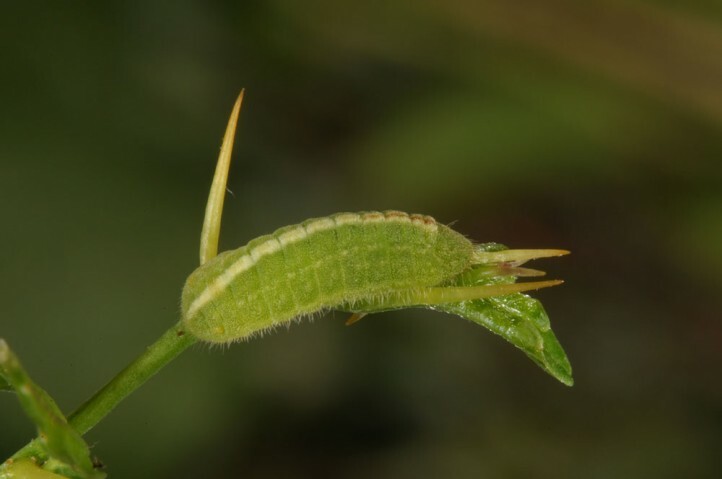 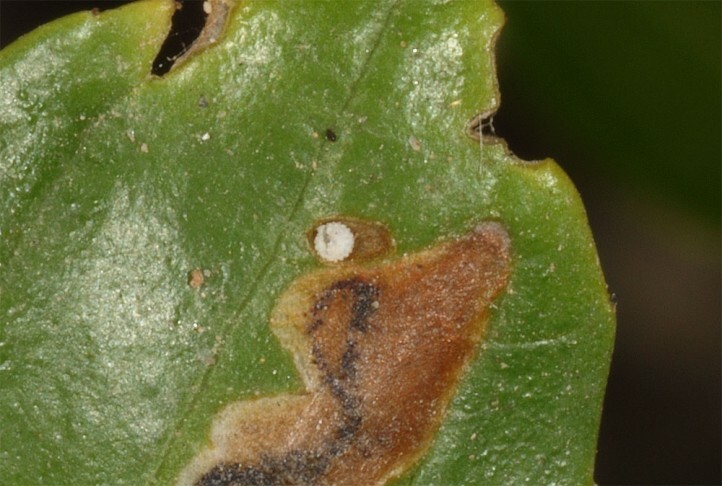 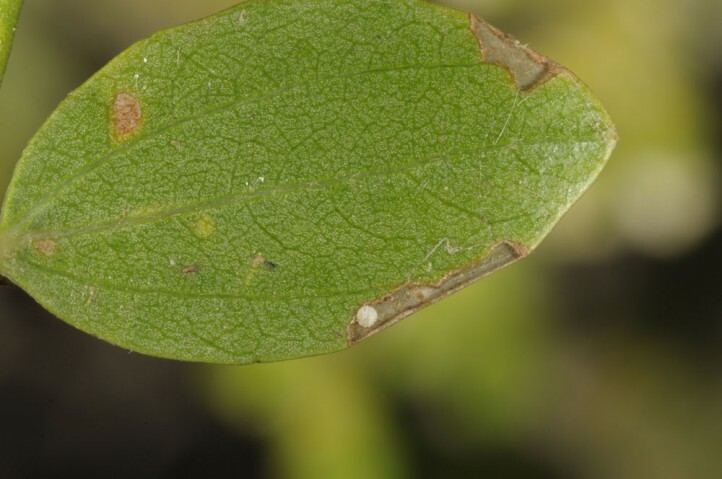 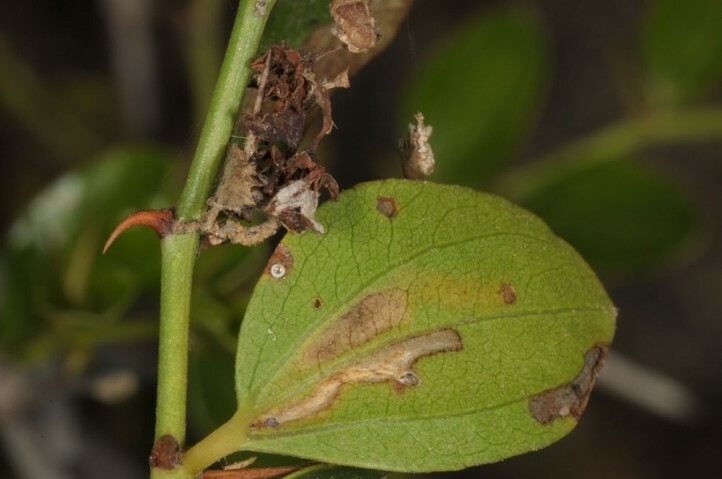 Oviposition usually takes place on the lower side of the leaves, partly also on the stem near a leaf or at the base of thornes. 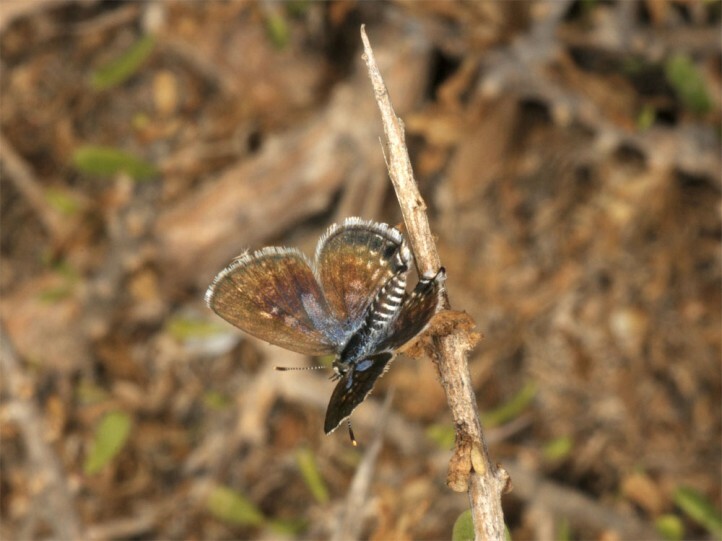 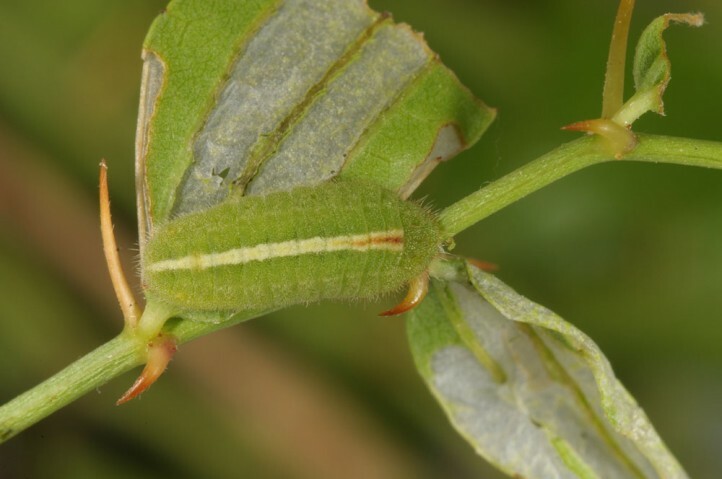 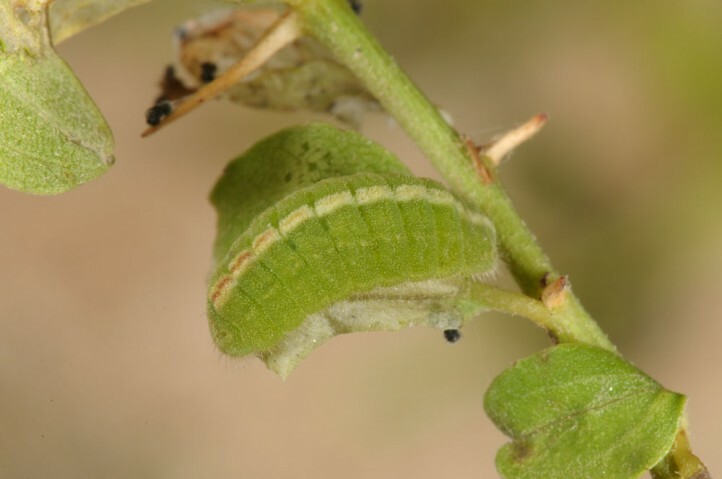 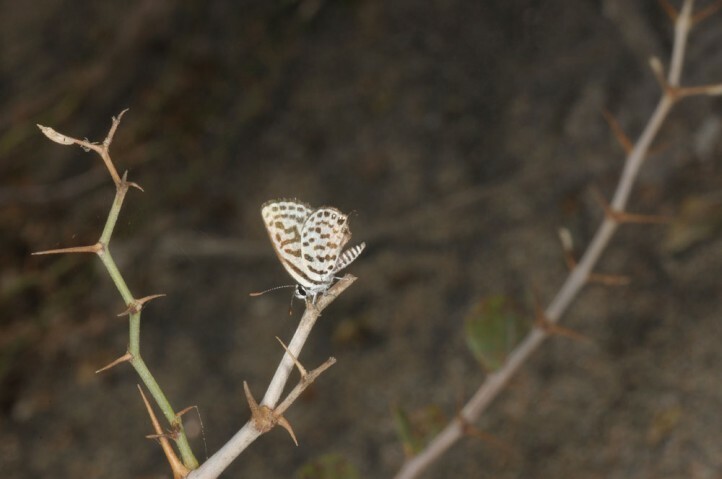 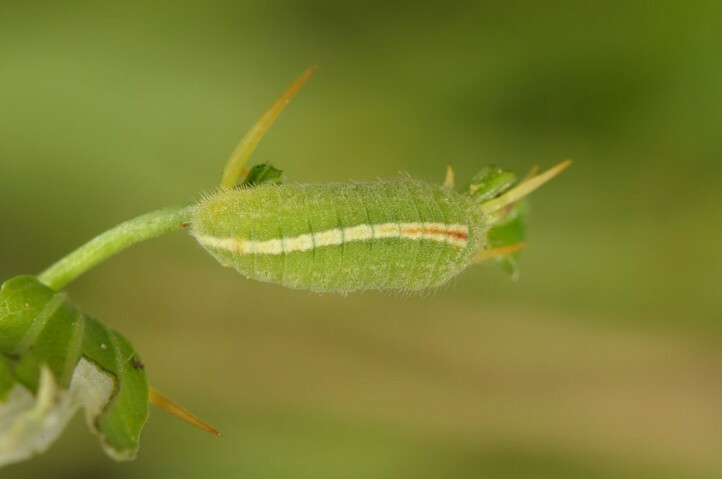 The larvae cause characteristic feeding scars (longituninal stripes). 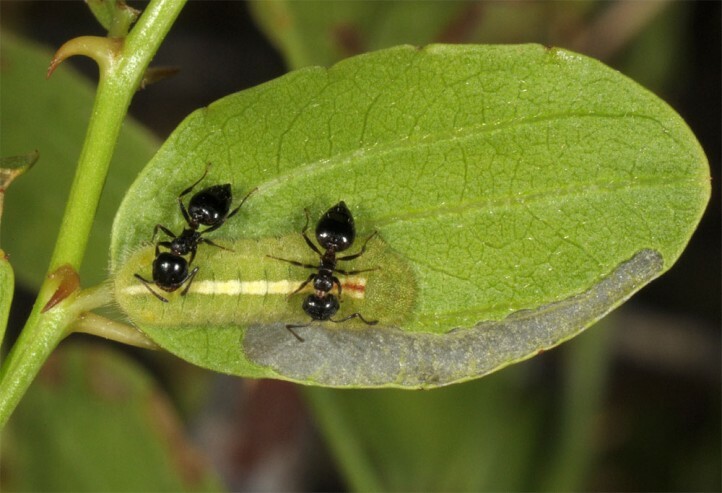 They are usually accompanied by ants and often rest on the lower side of leaves near the ground. 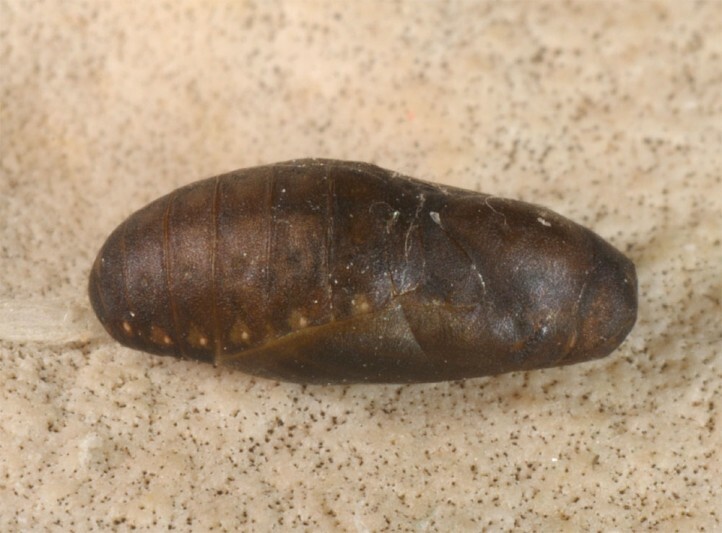 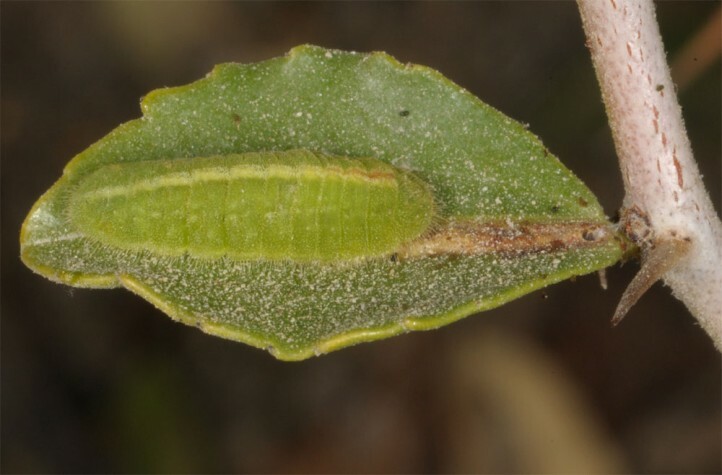 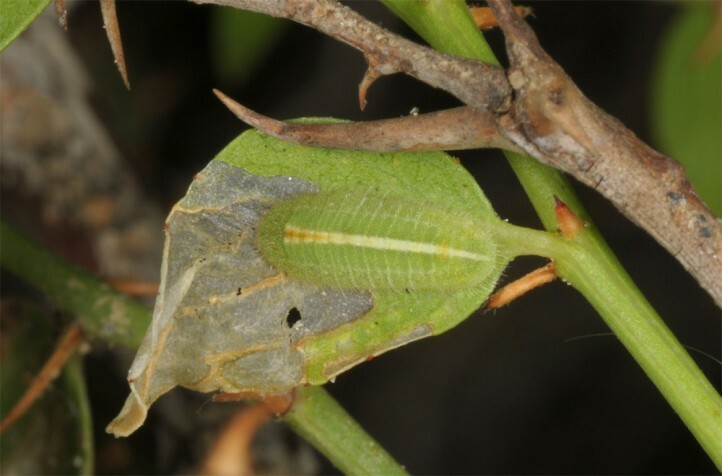 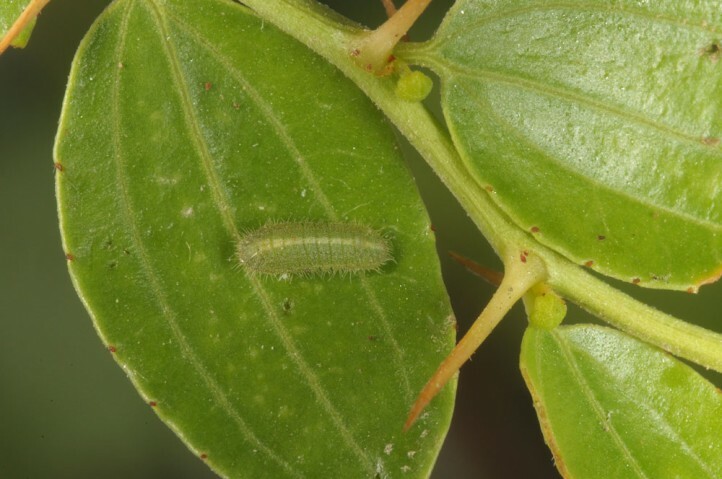 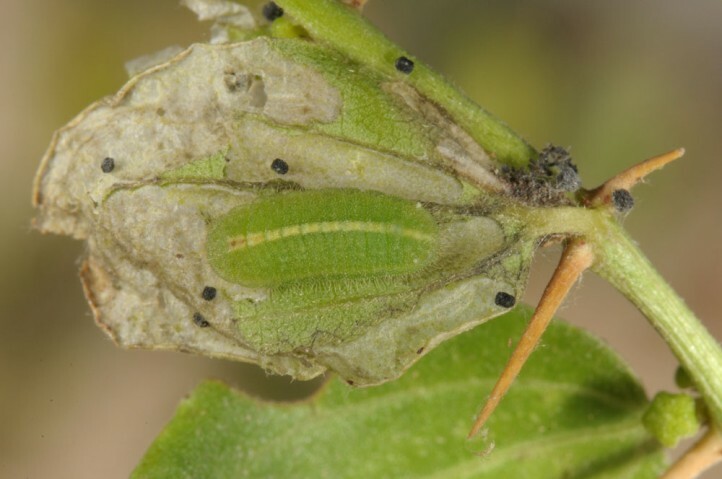 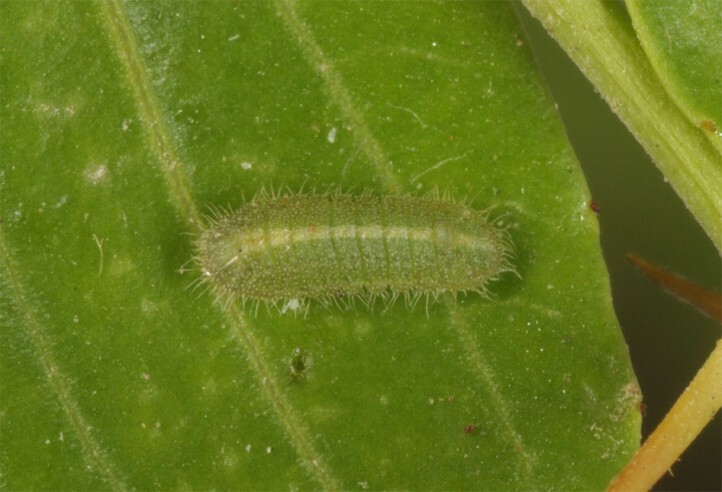 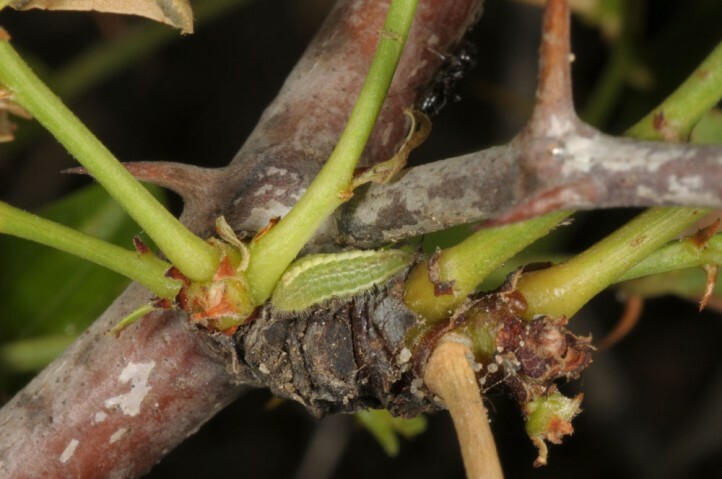 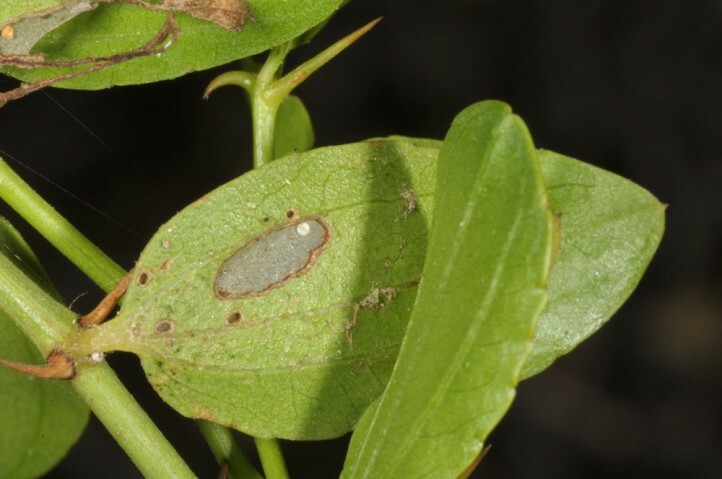 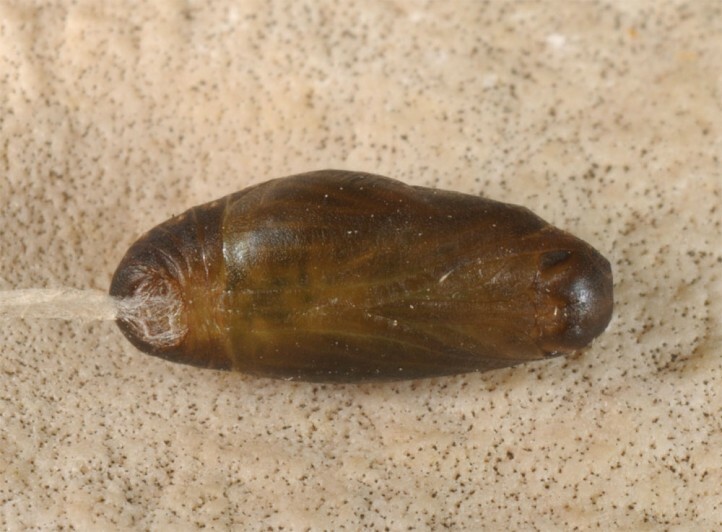 The pupa is located on the ground or larger stems. 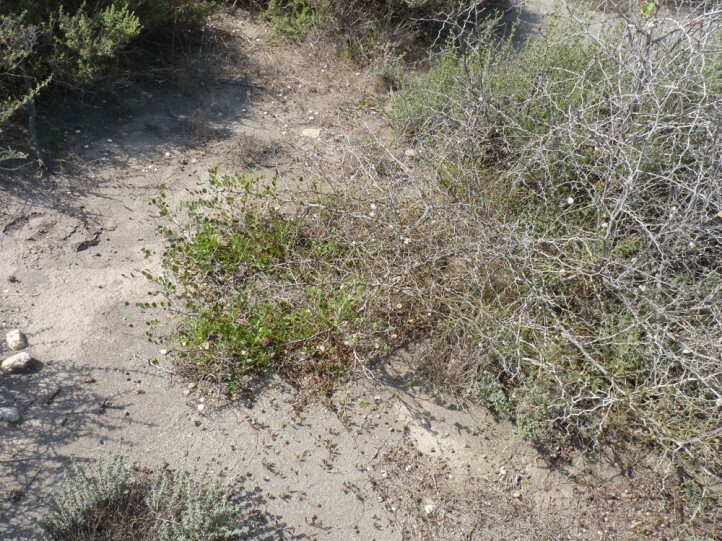 Tarucus theophrastus is heavily endangered in Europe. 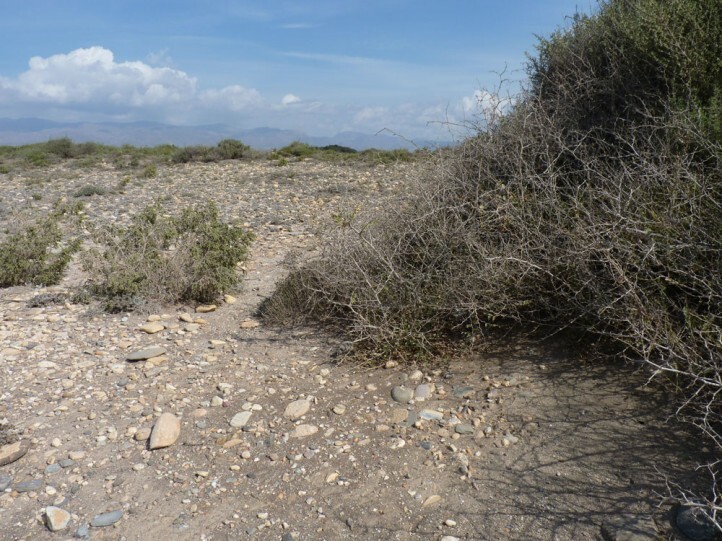 The typical endangerment factors overbuilding (tourism etc.) 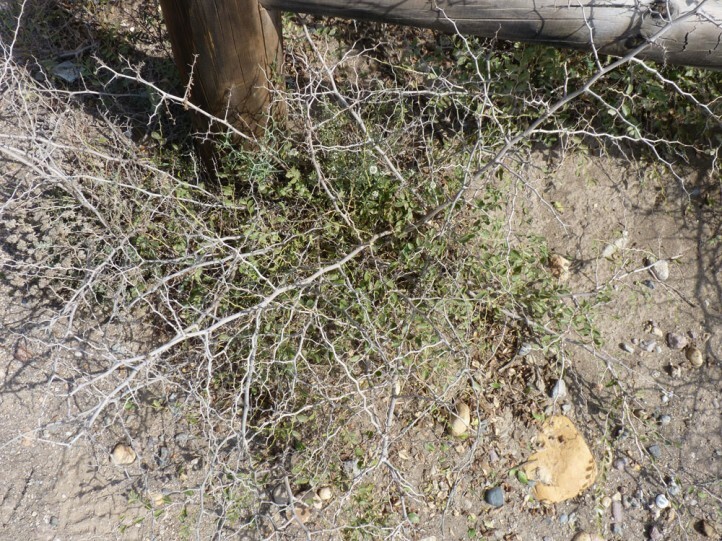 and intense EU-agriculture (e.g. 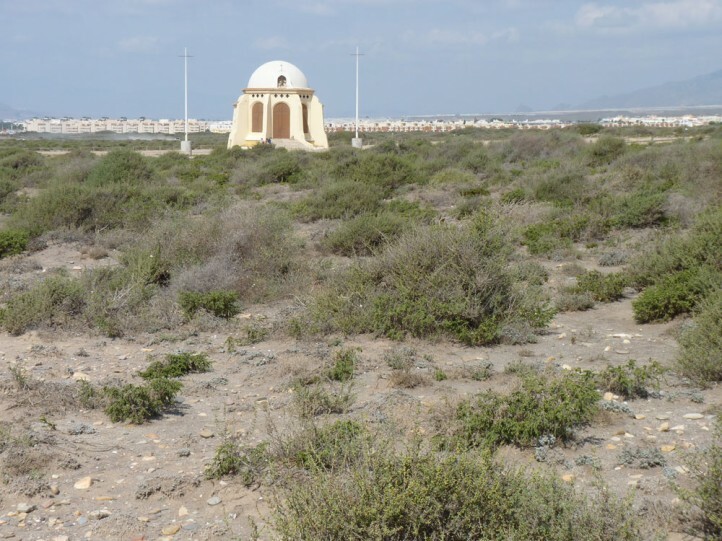 greenhouses) have left only very few sites. 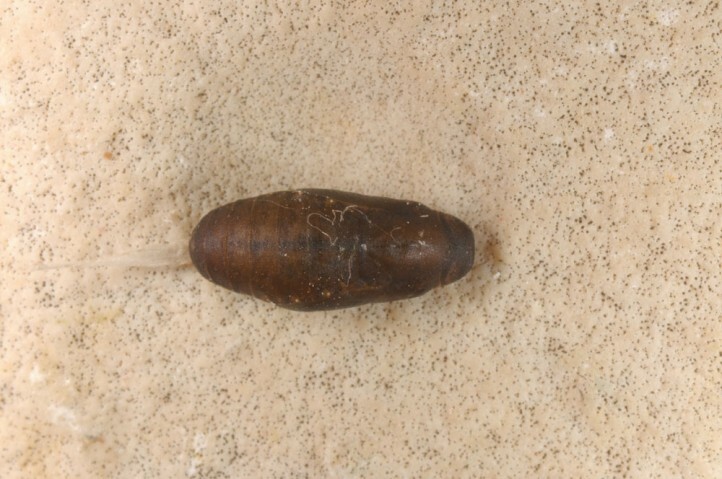 Tarucus theophrastus occurs in Africa and the Arabian Peninsula. 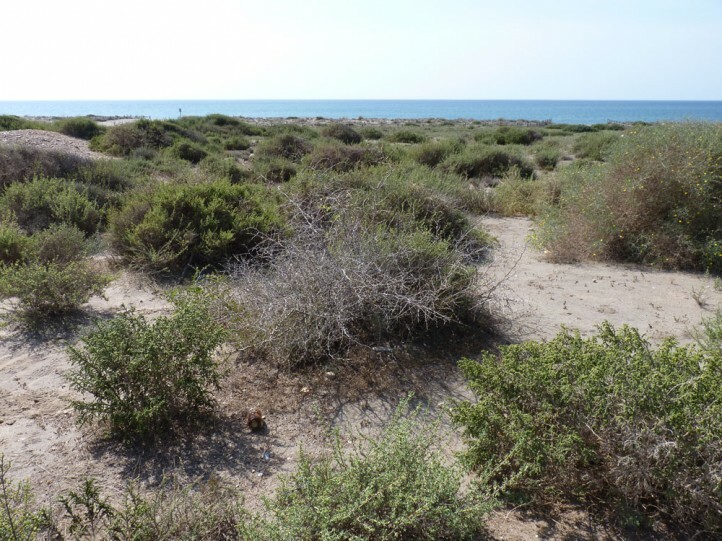 In Europe it is restricted to a few small, isolated populations at the Spanish Mediterranean coast (especially Almeria, even more sporadically also Murcia and Granada).